Many businesses have realised that operating efficiently and responsibly is not just good PR, it is good business. When selecting the most suitable solar panel for your commercial installation, it is critical to consider both how and where it is manufactured and what materials are used. There are various grades and capacities of PV panel modules. The renewable energy sector is a multi-billion dollar worldwide industry with new technologies and products reguarly coming to market. The Joule is the unit of energy. Along with Project GreenPower, Project Joule is a member of the Project Energy Group. Project Joule conducts in depth research and analysis so as to identify the highest yield, best value products on the world market. A synergy exists within the group which results in Project GreenPower supplying some of the highest quality and highest yield equipment available. Project GreenPower only engages with reputable manufacturers and their representatives with significant presence in Australia. Project GreenPower will only do business with manufacturers who have a warranty process and service support that is accessible in Australia. Project GreenPower is satisfied that there are stringent quality control processes and procedures in the manufacturing of solar photovoltaic panel modules. 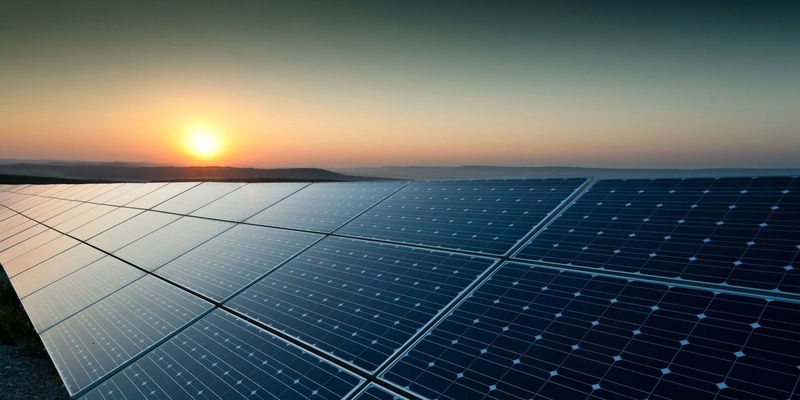 REC Panels are the solar panels of choice by companies who demand the best. REC provide their customers with quality components that have been proven to perform extremely well in harsh, real world conditions. REC solar panels supplied in Australia are manufactured in a state of the art automated facility in Singapore and are the leaders in performance and product warranties. JinkoSolar is a global leader in the solar industry. JinkoSolar distributes its solar products and sells its solutions and services to a diversified international utility, commercial and residential customer base in Australia, China, the United States, Japan, Germany, the United Kingdom, Chile, South Africa, India, Mexico, Brazil, the United Arab Emirates, Italy, Spain, France, Belgium. JinkoSolar has over 15,000 employees across its 5 productions facilities in Jiangxi and Zhejiang Provinces, China, Malaysia, Portugal and South Africa. Canadian Solar is one of the three biggest solar companies in the world by revenue, employing over 8,500 people and operating on 6 continents. Offering three state-of-the-art PV research centers for cells, modules and systems in Canada and China, plus combining more than 400 scientists, engineers and technicians conducting research to continuously improve their solar cell and solar module technologies. With R&D investments of over 600 million USD, 217 global patents, Canadian Solar is a globally recognized innovator of the solar industry. Founded in 1997, Trina Solar specializes in the manufacture of crystalline silicon photovoltaic modules and system integration. Today Trina Solar is the world’s number 1 solar PV module brand* with a total shipment volume in 2014 of 3.66 GW. Trina Solar is not only a pioneer of China's PV industry, but has become an influential shaper of the global solar industry and a leader in solar modules, solutions and services. The local team in Australia provides sales, marketing, logistics, technical support and system design as well as warranty support. Trina Solar continues to expand its R&D investment in Australia through a strong partnership with the Australian National University and the Australian Solar Institute, developing our next generation solar cell technology here in Canberra. With close to 200MW installed in the last 2 years alone (2012 & 2013), we are now the number one solar PV supplier in Australia.